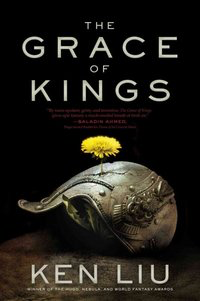 I just finished Grace of Kings by Ken Liu, which came out last year. It has been on my radar for sometime, but I've had so many bad experiences reading "Fantasy China" books that I was a bit reluctant to pick it up. It was a thoroughly enjoyable read and I'm glad I checked it out. Grace of Kings isn't quite fantasy china. It is definitely inspired by Chinese history and classic Chinese novels like Romance of the Three Kingdoms, but the setting is not a simple analog. One glance at a map of the Islands of Dara (the setting where the book takes place) makes this pretty clear. It is basically a large series of islands. Also the people are pretty diverse. Some have blonde hair, others red or brown, one group is described as black skinned, etc. It leaves the specifics a bit ambiguous (often-times just pointing out hair color). But what this makes clear is the reader can imagine characters appearing any number of ways. Ultimately what matters in the setting is the culture people belong to. I quite enjoyed the world building aspect to the book. In particular I loved the technology and how we get to experience it through the eyes of a great inventor, Luan Zya (who is a kind of Su Song-type). I don't want to spoil anything for people who haven't read it yet, so I will just say there are airships and war kites. Those appear quite early in the book, some of the other technology is seen later. Ken Liu introduces it slowly, so you are not overwhelmed with setting details all at once. The book is basically the story of rise of two characters, Kuni Garu and Mata Zyndu. Told against the backdrop of warring kingdoms it is both epic and mythic, but also character focused. A character like Mata Zyndu seems like something pulled right out of legend, cleaving his way across the battlefield with a sword named Ender of Doubts in one hand and a flesh rending cudgel named Goremaw in the other. Eight feet tall, he towers above the other characters. But the really interesting parts happen away from the battle field, where we learn more about Mata Zyndu's heart, or about the Kuni Garu's complex relationships. Kuni Garu is more subtle than Mata, and more of a normal person, but I have to admit, Mata was my favorite. While the focus is on Mata and Kuni, the cast is pretty big. Despite being a sizable book with a lot of characters, it isn't as overwhelming as similar books I've read. I never felt swamped by the names or like I was trudging through a heavy tome. I just wanted to know what my favorite characters were going to do next. I was interested from beginning to end, and for me that is the measure of a good book. Grace of Kings is part of a series called the Dandelion Dynasty, and I am looking forward to the next book. The ending seems like a great set-up for an even more interesting tale of palace and political intrigue. I definitely think this is worth checking out if you like fantasy and have an interest in Chinese history. Though I also think it has broader appeal as well. This was the fifth session of the Demon Spear of Yao Yun. The fourth session can be read HERE, and the first can be read HERE. Zhaofeng Yu: A junior disciple of Mount Zun Sect. Wandering Owl: An initiate into Mount Zun Sect. Feng Yaochun (Hardened Bull): An artisan who joined Mount Zun Sect. Shui: An initiate into Mount Zun Sect who wields the meteor hammer. Cheng Gao (NPC): Claims to be the reincarnation of the Heavenly King. Still at Celestial Heart Sect headquarters from the prior session, the party continued speaking with Abbess Tu Bao. Shui tried to convince her to teach him one of their meteor hammer techniques and she insisted on a fair exchange (where they would reveal one of Zun's techniques in return). However it was discovered the party did not know any techniques that Celestial Heart Sect needed. So they put the matter on hold. In the mean time, Cheng Gao, the monk they had saved from the demons at Plum Tree Temple, revealed his secret to the party: he was the reincarnation of the Heavenly King and was instructed by Hen-Shi to re-unite with the Earthly queen so they could take Dhamma without shedding a single drop of blood and rule jointly. Shui was skeptical of the man's claim but Zhaofeng Yu thought it might be true. Later, after Abbess Tu Bao learned of the revelation, she told Shui she would teach him a technique if he agreed to help the monk find the Earthly Queen. She promised to teach him one before he left, and a better technique upon his return. Zhaofeng Yu preyed to his ancestors for guidance and received a vision of the northern face of Mount Wuxing, and sensed it was the Tomb of the Earthly Queen. He then asked Celestial Heart Sect if they had any disciples who were knowledgable of such environments and they introduced him to Wu Dao who was very unskilled in martial arts but learned and experienced on the subject of tombs and other underground environments. Wu Dao told him that the Tomb of the Earthly Queen was part of a pair: the Tombs of the Earthly Queen and the Heavenly King. According to legend, the Queen's tomb was free from traps but difficult to navigate and unnaturally cold. The Tomb of the Heavenly King was supposedly heavily trapped and contained the greatest treasure the king possessed. 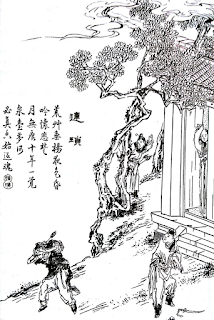 Wu Dao had heard that there was a map to the King's tomb, instructing one how to navigate the traps safely, located at the Tomb of the Earthly Queen. Cheng Gao, the monk who believed he was the reincarnation of the Heavenly King, felt that the Tomb of the Earthly Queen was a nice starting point, so the group set out almost immediately after Shui learned a technique from Abbess Tu Bao. They decided to split up, Shui would go directly to the tomb with Wu Dao; while Zhaofeng, Cheng Gao and Wandering Owl would go to Zun Shan temple and request guidance from their sect leader on the matter. Both reached the destinations uneventfully. At Zun Shan, Supreme Immortal Gaozi was somewhat irked to be disturbed over such a trivial matter but told them he could assign other disciples to investigating the Lord Frog and Supreme Judge Yu situation, leaving them free to focus on helping the monk. The party rejoined at the entrance to the Tomb of the Heavenly Queen. Zhaofeng had Mu and Gor (his enchanted Toad Demon disciples) stay at the entrance of the tomb while the party went in to investigate. Inside they found a large hexagonal chamber with many passageways leading from it (at least five different halls). In the center was a grate that had been bashed inward with blood caked to the metal. Inside the grate was a deep cylindrical chamber about 40 feet wide and 70 feet deep. Wandering Owl went inside and discovered the severed hand of a Yaksha demon on the ground, amid a fatty slime. They found a trail of blood leading down one of the passageways and followed it, where they found a severed Yaksha leg (which they believed belonged to the same creature). Eventually they came to a room where Wu Dao sprung a spinning blade trap. It nearly cut him in two, but Wandering Own used her Weapon Stride technique to leap up and take him to safely (narrowly missing being sliced herself). Shui took his meteor hammer and destroyed the blade trap. As he did so, Zhaofeng spotted a Yaksha peering at them from a distant tunnel. Once he detected it, the creature fled. The party gave pursuit, eventually coming to a chamber with a floor of ice or Jade. Imbedded 2 feet deep was a sword, which Zhaofeng recognized as the Ice Sword of the Zun. He began digging it up with a pick and when it was unearthed, the blade disappeared in a swirl of energy, eventually landing on Wandering Owl's finger where it formed into a ring. The group believed it must have chosen her due to a connection with the sword's spirit from a previous life. The cold was becoming intense and starting to wear on Cheng Gao. They came upon an impaled Zun Tribesmen in a hall (speared by a shaft that crossed the tunnel). He had a medallion and a very fine fur cloak (which they put on Cheng Gao to ward off the cold. As they came to a T section in the tomb, they saw a great round beast to their right blocking the northern passage. To the south it was clear. 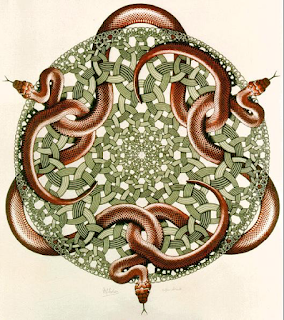 The creature hovered above the ground and was a mass of eyes, beaks and slimy skin. Zhaofeng, Shui and Wandering Owl began to engage it, whittling at it slowly with their strikes. Chen Gao and Wu Dao fled down the southern passage. Shui was able to call Wu Dao back so he was closer to them, but Chen Gao ran for his life in an animated state of terror. They heard him scream and his voice became very distant. Wandering Owl decided to chase after him. Zhaofeng and Shui remained behind to contend with the beak-eyed demon. It unleashed a flow of acidic spray from its beaks, burning Shui. Shui then used Blast of the Dragon to send it flying down the passage. As they fought, a square of light appeared on the wall beside them. Inside they could see a shadowy figure. A chorus of voices announced "Give Plum Tree Temple what belongs to us!". Zhaofeng refused telling it to give up. The voices resumed saying they would reclaim the monk momentarily. Wandering Owl found the chamber of the Earthly Queen. A trap door was open on the floor before her stone coffin. It appeared that Cheng Gao had fallen through it. She flew down and followed a slide like tunnel, which lead to a wooden cage suspended over the side of the mountain (carefully avoiding an obvious trap along the way). Peering out she saw four Yaksha Demons escaping up the side of the cliff with Cheng Gao. Wandering Owl leapt to the air and flew toward them, grabbing the monk and returning to the tunnel. When she reached the chamber of the Earthly Queen, she slid the stone coffin over the trap door to block the Yaksha's. Cheng Gao opened the lid and removed a piece a of paper telling Wandering Owl it was a map to the Tomb of the Heavenly King. The party rejoined, where Shui was sending the beast back once again with Blast of the Dragon. As the Plum Tree voices got louder, they decided to flee. Shui used Blast of the Dragon again, this time on the door of energy. To his surprise it rebounded upon him, sending him crashing 80 feet back into wall, hurting him pretty badly. They continued to flee, running through the halls with Zhaofeng carrying Wu Dao and Wandering Owl carrying Cheng Gao. As they left, Shui used Strength of One-Hundred Oxen and tried to collapse a section of the tomb. He succeeded more than expected (scoring multiple 10s) and nearly half the complex collapsed. Outside they found the toad demons eating a Yaksha they had just roasted over some flame. From there they set out for the place marked on their new map: The Tomb of the Heavenly King. Zhaofeng was skeptical of the map's authenticity, given that according to the legends, the Tomb of the Earthly Queen was free from traps yet they had encountered more than one. At the tomb, the found five entrances and followed a path marked out on their map. Almost immediately they triggered a trap that unleashed streams of acid, burning Wu Dao. Shui tried to revive him and nearly succeeded, but he was too badly burned and died shortly after. They pondered the text's meaning, and decided to quite literally extinguish their lamps. This revealed narrow shafts of light shining from a circular panel on the ceiling to the ground. Wandering Owl opened the panel and went into a chamber where a radiant stalactite of Jade filled the area with light. The group ascended after her and when they struck the stone, images began flickering on its surface. They were unclear but it seemed to be showing the burial of the Heavenly King, then the body of the Earthly Queen, possibly still alive, being taken by sorcerers from another land. They eventually entombed her in a land filled with jungle and mesa-top cities (which Zhaofeng recognized as likely being Naqan). This was the fourth session of the Demon Spear of Yao Yun. The third session can be read HERE, and the first can be read HERE. Wandering Owl: Daughter of Feng Yaochun and an initiate into Mount Zun Sect. Feng Yaochun (Hardened Bull): Father of Wandering Owl and an artisan who joined Mount Zun Sect. Feng Yaochun and Wandering Owl continued to follow the trail of the spear of Yao Yun, through the hills leading to Plum Tree Temple. They were assisted by Master Wan, a man they had met in Fan. As they approached, Zhaofeng Yu and Shui (their sect brothers) caught up with them and offered to assist. By mid-day they found the trail of Red Sword and her men and set up an ambush in the hillsides. Red Sword was carried in a covered sedan chair by four toad demons assuming human form. The nature of the demons was obvious to the party as they had dealt with such creatures before. Zhaofeng approached and told them to hand over the spear. When they resisted he stamped a paper talisman on one of the demon's heads and chanted strange words. The talisman failed to activate and a very long battle broke out. The fight went on for a great length, with most of the party moving around to the front of the Sedan chair to attack the Toad Demons. Wandering Owl spotted a masked woman encircling the melee from the rim of a hill. Shui smashed a toad into the sedan chair with Blast of the Dragon, destroying the cabin in a hail of cracked wood. Red Sword leapt from the side of the chair and landed nearby. From there she launched a spiral attack in the air, cutting everyone twice. Some of the party deflected her attacks, but a few were wounded. Master Wan flew into the remains of the Sedan chair and grabbed the spear shaft. The fight continued. Feng Yaochun skewered three Toad Demons on his blade, but they were tough and remained standing. Zhaofeng finally (after many failed attempts) managed to activate his talisman and gain control of one of the Toad Demons. Soon after he also stunned another toad demon with his bian. Wandering Owl whittled them down with her Kick of the Golden Elephant Technique. Shui focused on dealing with Red Sword, who ended up cutting him terribly with a scissor-like strike. Wandering Owl and Zhaofeng spotted Master Wan take flight again and land on the rim of the hill by the woman with the mask. A few moments later they were gone and the party became desperate to end the fight. After taking more punishment from Wandering Owl and Feng Yaochun, two of the Toad Demons ran away, leaving the other two either stunned or controlled. They managed to deliver several devastating attacks against Red Sword forcing her to surrender. They demanded information and bound her. She refused to go with them to Mount Zun, saying she would rather die. They talked, and she revealed that the spear was either taken to Plum Tree Temple or to Emo Chung. But she didn't know anything about Master Wan and why he'd taken the spear. When she continued to refuse capture by Mount Zun, Zhaofeng told Feng Yaochun to kill her swiftly. He slit her throat. Because both of them had attained high levels of Kung Fu and internal cultivation, they knew their actions lost them merit. Zhaofeng was particularly troubled after the act and expressed a desire to atone. He went and spoke with the Toad Demons (now having both of them under his control). He told them he was going to reform them and take them to Mount Zun. Asking them about Plum Tree Temple, the toads told him that it was too dangerous for mortals. They also mentioned there was a gate there leading to Supreme Judge Yu's realm. Their names were Mu and Gor. The party headed back to their headquarters (which took several days) to report to their master. They appeared before Gaozi and presented him with the Life Taking Bian of Zun (the gift from Master Wan). Puzzled because the device was clearly authentic but handed to them by someone who later betrayed his disciples, Gaozi asked who was best suited to wield such a weapon and Zhaofeng stepped forward and received it. He was told that it was now his responsibility not to lose it. Zhaofeng thanked his master and mentioned the two Toad Demons under his control that he wished to reform. Gaozi said these were also his responsibility, that he would need to take them with him and help direct them on a better path. The party reported everything they knew and was instructed to investigate Plum Tree Temple and Emo Cheng. To save time, the four ritual masters of the sect flew them to the area. They headed to Plum Tree Temple and found no one inside. Wandering Owl used Stealth of the Spider Demon to infiltrate the courtyard, and inspect the living quarters. There she found a used Ritual Vessel that had charred the ceiling (though it was moved over several inches). Looking under the bedding of the abbot's bed she found a luminous void of clouds. When she poked her head through the mist, she could see a barren landscape about fifteen feet below her. She then went outside and reported what she found, and returned to inspect the dining area. There she found the remains of human bones on the table. While she was there, they heard men approaching over one of the hills. Peering through the window she saw monks of the temple carrying a monk of Hen-Shi against his will. Wandering Owl rejoined the group and they spied to learn more. Using one of her abilities, Wandering Owl sensed that they were very powerful, too powerful to fight (perhaps gods). The party decided it was too dangerous to intervene, but the Zhaofeng insisted they help the man. Shui used Strength of 100 Oxen to lift a tree and slam it into the temple and make a distraction. Then Zhaofeng used Swift Stride to grab the monk and flee. The party ran through the hills, with the monks on their trail. They were chased for a full day. They barely escaped but eventually eluded them (due to two Total Successes on a Survival Roll by Wandering Owl). When they reached a river, Zhaofeng used his Water Dragon shadow tattoo to take them safely below the surface, where they traveled upstream to Mount Dao. The monk told them his name was Cheng Gao. At Mount Dao they brought the monk to the peak and were met by Abbess Tu Bao at the Celestial Heart Sect gate. She let them in and held an audience with them as they were members of an allied sect. Cheng Gao told everyone that the temple monks wanted to eat him to increase their power and lifespan. When pressed for more information he got nervous. He spoke in private with Zhaofeng saying he could not reveal his secret at this time, as he was sworn to silence on a very important matter. Abbess Tu Bao offered them rooms for the night and spoke with the party at length. Shui asked to learn some of their famed meteor hammer techniques. She said she would have to ask their leader, Ox-Hearted Widow, but his tone became commanding and this seemed to sour her disposition toward him. This is the fourth session of a new campaign for Wandering Heroes of Ogre Gate (the third session is HERE). 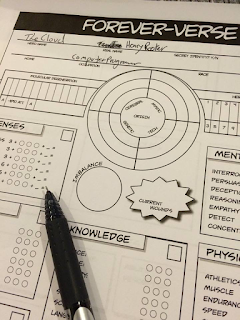 It is intended to play through the rules we are working on for the the supplement Profound Masters of Ogre Gate (in which player characters advance to the higher levels of Kung Fu and into Immortality). 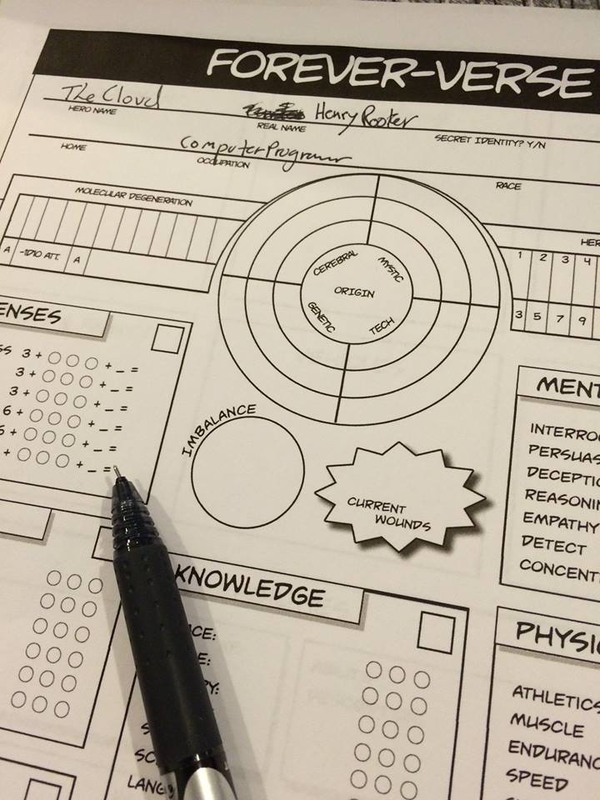 The players have recently become initiates into the Celestial Heart Sect. The party had just left the Hanging Valley of the Dead where they'd returned Marauding Dragon's child. On their way out, through Zhaoze Swamp, they were intercepted by his wife, Shanhu. She had recently been resurrected from the dead by Marauding Dragon. The party originally encountered her in Tung-On where she was a phoenix ghost. Part of her spirit (her Dragon Spirit) had been placed in a Dragon Talisman so she could later be resurrected but the party destroyed the talisman. Later Marauding Dragon secured her body and continued with he resurrection but because her Dragon Spirit was missing, she basically went crazy. Before they had left, Merciful Shade had informed Marauding Dragon that Lord Frog (the keeper of his gate) had plotted against him to take the baby from the party. Marauding Dragon sent men to kill Lord Frog. But when the party arrived in Zhoaze Swamp, they saw dozens of Marauding Dragon's men dead in the water and no sign of Lord Frog. Instead they were confronted by Shanhu who was flanked by ten Emo Chung sect disciples. She told them she was going to kill them for destroying her talisman. They tried to calm her, but she flew into the air and attacked with a shimmering Hard Whip (or bian). A massive melee ensued but Phiphek captured Shanhu in an all-encompassing emerald of Sun Mai. Eventually the disciples of Emo Cheng disappeared when it was clear they had lost. They bound Shanhu and interrogated her learning that she was working with Lord Frog and Emo Chung, that she still despised Marauding Dragon (she was originally in Tung-On so her child could be born safely away from him). She blamed the party for destroying her talisman and for returning the child to Marauding Dragon. They contemplated retrieving the child for her, and she offered to end her grudge against them if they did so, but Sentimental Ogre pointed out that that her disrupted Phoenix Spirit made her violent and unpredictable. This would not be safe for the baby, plus their sect had ordered them to return the child to Marauding Dragon. They decided instead to release Shanhu and let her go back to the Hanging Valley of the Dead. She agreed to stay her grudge for thirty days. They headed north and reached Fan. There some of the party went to the Tower of Fortune where they met a man named Golden Han. He was badly beaten up, with a broken nose and cut face, but he seemed in excellent spirits and was winning a lot of money at the cricket matches. When Phiphek asked him about the reports of ghosts coming from Siyu, he told them that two Zun heroes had passed by recently asking similar questions. He confirmed the reports but said the Zun heroes probably already dealt with the issue in his opinion. While watching from the corner, Merciful Shade suddenly found one of the sect leaders from Celestial heart sitting next to her. The sect leader asked her to come outside and gave her sect instructions for the party. They were to find Lord Frog and deal with him then go to Divine Horse Sect to investigate why Supreme Judge Yu had been there recently. The sect leader didn't tell her why, but it seemed like it was related to the events in Siyu and Heiping. Sentimental Ogre tried sleeping in the street that night and local guards attempted to stop him, telling him it violated city ordinances. To resolve the issue, he flew into the air and slept above, rather than on the street so he could abide by the letter of the law. This frustrated the guards who left him in peace after that. The party then traveled to Siyu, east of Fan. There they found a city filled with ghosts, people recently risen from the dead or turned into gui while still alive. But one section of the city was warded with talismans and contained some living people. Sentimental Ogre Confronted some guards outside the city, who turned out to be Toad Demons, but they fled back to the main temple. Using rooftops, the party investigated, then to their surprise the people in the streets who were various forms of undead, all started turning back into normal humans. This was clearly not due to he party's efforts at all. Something else was causing it. 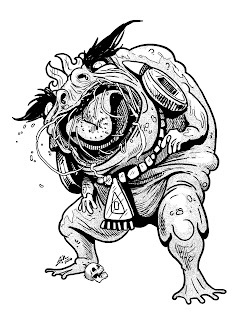 However it created chaos in the city and Toad Demons started killing many of them as they got out of control. They party left, flew and ran over rooftops to the temple, attacking Toad Demons as they did so (which caused them to leave the people alone and run back to the temple). There they found Brother Toad, an enormous creature who occupied an entire hall. There he was eating platters of human flesh. He and his Toad Demons fought the party. Phiphek was sucked into a toad's belly but in the end the party managed to defeat him. They cut down three toad demons and left seven alive. After the battle, they learned that Lord Frog was hiding at Whispering Swamp in Hai'an. Merciful Shade bound Brother Toad, then sucked him into one of her orbs. This terrified the remaining seven toad demons. She told them to live according to Hen-Shi and to stop eating humans. Phiphek then created an illusion of glowing dust falling upon them and said that Hen-Shi commanded them to stop eating human flesh or they would suffer horribly. They cowered and promised to start a temple dedicated to Hen-Shi, then left the city. The party went to the protected ward and spoke with the Headman, Yu Chen. He thanked them for saving the town and offered them any assistance or gifts they may need. They asked for a boat that was river and sea worthy as well as a crew. He provided it, giving them the Emerald Medallion captained by a man from his own clan. He also stocked the boat with Divine Phoenix Tea and other luxury items. They took the boat to Hai'an, where they traveled on foot from Xuanlu to a cave in Whispering Swamp. There they fought against Lord Frog, who was so big that Merciful Shade's Blazing Net barely clung to his body. He summoned more of his Demon Toads to protect him and a battle ensued. The party was able to capture him in an orb as well and dispatch his demons. Taking the orb they headed to Rong Shan, where Pale Forest Peak and Divine Horse Sect was located. On their way, Merciful Shade scouted around for anything unusual and found they are being followed. She went and inspected their pursuers who were led by an extremely muscular woman (whom they later learned was Divine Murderess of Emo Chung Sect). She saw Merciful Shade approach, but didn't do anything as she was quite surprised. Merciful Shade returned to the party and informed them. They continued on, with some caution. They reached Divine Horse Gate and met the mountain god, Bearded Sabre, who reluctantly let them through. They went to the palace of Abeyant Love and met Celestial Master Ma Ziweng. When they asked about Supreme Judge Yu, Celestial Master told them that he had come to the sect about two weeks ago, perhaps a little more, to inform them that he was going to duel with Yao Yun Demon of the Southern Sea. This was merely a precaution since Divine Horse Sect controlled the Celestial Pillar of Northern Skies, and were Supreme Judge Yu to meet disaster, this might affect travel between the upper realms. Satisfied with this explanation, Merciful Shade also asked if she could inspect the pillar. Her and Phiphek were permitted and both went into the Jade Hall of Meditation. There they found an octagonal chamber with eight doors. They meditated and decided to take the eastern door which led them to the Pillar. It seemed okay. Merciful Shade touched it and felt substantial power coursing through it. They returned, thanked Celestial Master and asked to remain for the night. Sentimental Ogre decided to sleep outside in the cold but he gate. There he was berated by Bearded Sabre who said he would surely freeze to death. Surprisingly he slept in comfort the entire evening (due to three consecutive Endurance Rolls with a couple of Total Successes). The next day they headed down the peak but were confronted by the woman who had been trailing them. Phiphek recognized her as Divine Murderess of Emo Chung Sect. She had a spear and demanded they return Lord Frog. This is something for well down the road (after we release Profound Masters of Ogre Gate), but we've started work on a supers game called the Forever-Verse. As I've mentioned in the past, the supers genre is one that Bill really loved and making a supers game was something he eventually wanted to do. Unfortunately, he was the expert on supers, not me. I was always happy to play in a supers game, but was not the massive comic book fan that he was. Bill was the sort of person who could debate obscure details about superheroes for hours. Because it isn't really my genre, I brought someone else in to work on the supers setting and rules (I will introduce the person in a later post). We just play tested the first rough set of rules for the game. It uses the Network system and introduces some new elements. To the right is a glimpse of our rough character sheet. This is just an early one for playtest (I am not sure what the final sheet will look like at this point) but illustrates some of the similarities and differences between Forever-Verse and other Network games. Because Bill was so big into sleek design, we are bringing back some of the aspects of earlier Network games. It is very early and difficult to say what the final result will be, but the first session was a lot of fun. It was a small scenario with two players (me and one other person). I played a character named the Cloud, who could mind-hack into the internet, the other player was an animal empath named Ninja Squirrel. I was very impressed with the way the system functioned and by the setting as well. We were able to apply a lot of the lessons learned from Ogre Gate (mainly from things like Kung Fu Techniques). Just to give people a sense of the timeframe here, we decided about three to four years ago to give ourselves a minimum of 2 years to develop each new game. This has worked out well, so Forever-Verse isn't something that is going to come out tomorrow. But it has been in the works for a bit already. I will release updates in the coming months. With Wandering Heroes of Ogre Gate in layout, we've turned our attention to Profound Masters of Ogre Gate. This is essentially the high level campaign book, where you begin the path to longevity. We've been running profound campaigns and it has led to some interesting observations. Right now, there is definitely a big difference between Qi levels 1-6 (which are the standard wuxia levels) and 7-24 (which are the profound to immortal levels). Qi levels above 6 are optional (it takes a long time to get to 6). We are noticing the normal issues you'd find in any high level campaign, but there are also other challenges unique to the setting and system. One problem I am trying to solve is making characters who are already higher level. The game assumes you start at Qi rank 1 and advance, but not everyone will play that way. Something that emerges when you make higher level characters is they don't feel rooted the way regular characters do; they don't develop the ties and connections over time. So we've been experimenting with some tables to help generate history for characters that start out high level. This is nothing new or revolutionary, but they are very effective. From a design standpoint the big challenge is to devise a large number of interesting and unique Profound Techniques. This is something that actually gets easier with time. The same thing happened with Sertorius. The initial spell list was harder to cobble together, but subsequent ones like Book of the Archon were a lot easier to make. With Profound Masters of Ogre Gate, there is a host of new territory to explore in terms of Kung Fu Techniques, Rituals and Immortal Powers. The Profound material is more in the realm of Zu Warriors from the Magic Mountain, Journey to the West, Journey of Flower, Chinese Paladin etc. It involves gods, celestial realms and a horde of supernatural entries. This changes things considerably. Once players start adventuring in the Lunar Realm of Supreme Judge Yu or the Hanging Valley of the Dead, then that makes vastly different prep. One aim of the book is to reduce prep for the GM, so we will be including information on the different realms. Part of the purpose of my current campaigns is so I can explore them as a GM and map out most of these places. I'll keep everyone updated on this as we go forward. As I said before we want to give ourselves at least a year from the release of Wandering Heroes of Ogre Gate before this one comes out. Between then and now, we will release Ogre Gate Inn and other Strange Places of Li Fan (title is tentative and evolving). Also, we started work on a supers game called The Forever-verse. This was the third session of the Demon Spear of Yao Yun. The second session can be read HERE, and the first can be read HERE. The party was in Fan on their way to Siyu, sent to investigate rumors of people rising from the dead. They went to the Gold Pavilion Inn, and ate in its crowded dining hall. While there they looked around the room for anything unusual and saw an older man with a hood looking at them. Going to his table they gave him some food and started a conversation. Judging from his physique and manners, they could sense he was a martial hero and possibly a sifu. He told them his name was Master Wan, that he was an antique dealer from Nansun. When they pressed him, he also said he used to be a general. He could tell they were martial heroes and asked about their sect. They told him they were from Mount Zun, and he lit up saying he had an object belonging to them. His behavior became a bit unusual from this point on. He went to his room and brought back a fine wooden box. Inside was a golden bian (or hard whip). He told them it was Life Taker, a weapon that belonged to their sect's originator but was lost long ago in a great battle. Feng Yaochun was able to confirm its authenticity by inspecting it. They asked the old man to go with them to Siyu, and he agreed. In the morning they took the road east and arrived in the settlement by mid-day. There Wandering Owl used Great Stride to land upon the roof of Plum Tree Inn and get a birds-eye-view of the city. She saw that most of the inhabitants looked like various types of gui (ghosts) and were meandering through the streets. However there were men in black with spears strolling in patrols, and one ward of the city looked like it was packed with normal people (its walls layered in paper talismans). She returned to the group and informed them of what she found. They approached the gate of the inn, with Yaochun taking the lead. There he met with five guards (all dressed in black and carrying spears). Up close he saw that there was something wrong with their sin; it was mottled and sagging. He asked to enter and they began surrounding him. The conversation became strange and it was clear these were not normal men. They promised to bring him to a great feast and kept calling him "human". 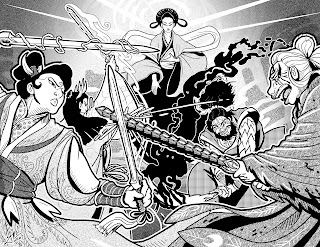 As they encircled him, Yaochun struck and the rest of the party ran up to engage the men. Once the battle commenced, the flesh of the guards settled and reshaped until it was clear they were small toad demons. One of the creatures fled into the city calling for "Brother Frog". With Double Thrust, Yaochun stabbed two of them, and Wandering Owl used kick of the Golden Elephant to send the one in flight to his death. Master Wan flew into the fray and swung his meteor hammer in a circle, hitting four of the toad demons. The fight continued for a time and ended with a victory for the party. They then rounded the city and went to the while by the protected ward. There the group climbed on the roof and saw the ward filled mainly with elderly, sick and young. Wandering Owl crept into the ward and spoke with an old woman, who told her that the demons were from the Temple of Good Fortune (a building with a giant frog statue on its steps). She informed wandering owl that a week earlier something fell from the sky and people started turning into Gui. Then the priests from the temple placed talismans on this section of the town and told the people they would protect them. However, they slowly extracted the healthiest and most robust men from the area and brought them to the temple. None of the men returned and the old woman believed the priests were eating them. The party decided to go to the wall by the temple where Wandering Owl climbed into he courtyard and used Stealth of the Spider Demon to sneak around. In one of the main halls she saw an enormous frog surrounded by toad demons. They were bringing in plates of roasted human meat and enjoying themselves. She crept closer and tried to listen in on their conversation. She learned that the thing that fell from the sky was the shaft of the Spear of Yao Yun, and that it had been transported from the city by carriage north. It was apparently on its way to Plum Tree Temple. The carriage was protected by a woman named Red Sword. The frog also commented that the men in the town were particularly delicious. The party decided to send word to both Celestial Heart Sect and Zun Shan Sect, asking for reinforcements. In the meantime they would go with Master Wan to intercept the carriage. He made clear he could not go with them to Mount Dao and speak to Celestial Heart Sect (which they had in mind) as he had a grievance with them). This was the second session of the Demon Spear of Yao Yun. While the first session focused on Zhaofeng Yu's mission to Heiping, this one occurred during that time, focusing on Wandering Owl and Feng Yaochun). Yaochun and Wandering Owl were summoned before Master Gaozi who asked them to head north to Li Fan, going to the city of Siyu to investigate reports of people rising from the dead. He informed them that he had similar reports from other regions and wanted them to be cautious as Siyu was within Celestial Heart Sect territory. If they found anything notable, they should report it to Celestial Heart Sect as well. The two set out, taking flight on a Shadow Owl summoned that Wandering Owl summoned. This cut their travel time to 3-4 days, but they still needed to camp. One night, camping in the Badlands of Yao. They were ambushed by a group of men and a hulking figure hiding in the darkness. The men looked like they came from the south (which was odd given they were so far north). The men attacked, Feng Yaochun speared two with his sword, then Wandering Owl used Kick of the Swan to drop the remaining men (seven in total). The hulking figure approached revealing itself to be a Demon Toad. It lashed out with its tongue and sucked Yaochun into its belly where he began to suffer from the burning acids of its stomach. Yaochun started carving his way out from the Toad Demon as Wandering Owl kicked it and protected herself from its attacks with Deflecting Canopy. It took some time, but eventually Yaochun sliced his way from the body of the Toad after Wandering Owl killed it with one of her kicks. They then continued on to Fan (the capital of Li Fan, about one day east of Siyu). There they investigated and learned there were rumors of ghosts on the outskirts of the town. There were also rumors that something terrible occurred in Siyu. They went to a gambling hall where men were betting on Cricket Matches (the match was between Iron Greeny and Blackened Champion). Yaochun spotted a man on a winning streak and placed bets on the same cricket, winning several thousand spades. He went back to drink with the man, who introduced himself as Golden Han. Golden Han was also an artisan (he made lucky golden bracelets) and confirmed rumors of ghosts. After the conversation, Yaochun went to another table where a group of men who had lost their money on the match were sitting. He noticed they were all eyeing Golden Han so he struck up a conversation. They were a group of scholars and they believed Golden Han had slipped a poison onto the losing cricket during the match. The leader of the group was Li Chun (Iron Scholar) and one of his companions, Fei Wu, has made a point of watching Golden Han. 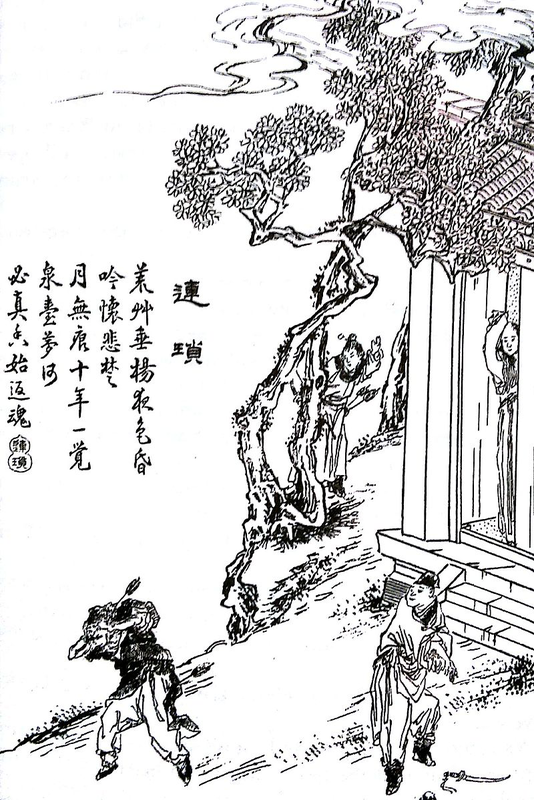 Fei Wu claimed to have seen Golden Han poison the cricket with his own eyes. The mood at the table was dark and tense, and Yaochun believed they meant to harm Golden Han. He asked about the ghosts, but the scholars dismissed them as exaggerations by overly imaginative locals. They also accused Golden Han of capitalizing on the hysteria by marketing his bracelets as protective against spirits. They were about to leave the gambling hall when Wandering Owl went to Golden Han and asked about his bracelets. He told her they could protect her against any evil in the world and that he would sell them to her for 100 spades because she was friends with his new pal, Feng Yaochun. She agreed. He returned with two and offered to sell them both for a total of 150 spades. She bought them, saw they had the characters for Happy Luck on them and returned to her father. The party sent a message to Mount Zun, and this is where the session ended.